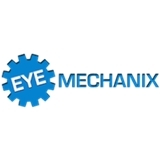 Eye Mechanix (Chicago) - Book Appointment Online! Eye Mechanix is a full service Eye Boutique located in Lincoln Park, Chicago. Services include: Eye Examinations, Contact Lens Exams & fittings, Vision Care and Screening. Our retail Optical Shop features unique & handcrafted Classic, Contemporary, Urban and European eyewear. Come in to fine tune your vision & enhance your style with our incredible eyewear collections at Chicago's best new urban eyewear + eye care center. Our Chief Vision Mechanic, Optometrist Dr. Randall Ricketts OD, has over 20 years of experience diagnosing, managing and treating conditions and diseases of the human eye and visual system. Services include examining eyes and visual system, diagnosing problems or impairments & prescribing corrective lenses and treatment. If you don't see a time available and want to visit our office, give us a call and we will fit you in that day. He was very nice, made my daughter and I both comfortable. He took the time to answer questions and educated us on her situation. The office is really nice and felt welcoming and comfortable. Both ladies at the front desk were super friendly too. Would recommend.